You’ve probably heard at least a little about the dangers of mold in the home, especially certain types of mold, like Stachybotrys chartarum (sometimes referred to as black mold or toxic mold). Many homeowners are not fully aware of the extent of the dangers, however. The greatest danger of mold in your home is the risk to your health. The most common health problems caused by mold exposure include respiratory symptoms like coughing, sneezing, runny nose, and sinus infections. Headaches, sore throats, difficulty breathing, and asthma attacks may occur. Itchy skin rashes and hives are also common. Less common but possible effects of exposure to mold in homes include serious respiratory infections like pneumonia, bleeding in the lungs (which is life-threatening), digestive problems, depression, extreme fatigue, and painful inflammation of the joints. Mold also damages your home. It breaks down materials like wood and in some very severe cases, buildings have collapsed due to extensive mold damage. While it’s unlikely your home will collapse around you, it is possible for part of your ceiling to cave in or for structural damage to occur that can cause serious injury. In addition, the repair can be extremely costly. 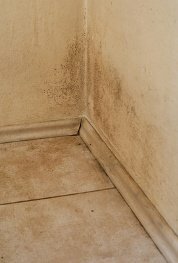 Addressing a mold issue before it advances to this extent can save you a lot of money in the long run. If you’ve noticed mold in one part of the home, we recommend testing the rest of your home for mold to make sure it hasn’t spread to places you can’t easily see it. You can purchase test kits and conduct a mold test yourself, but we recommend hiring a professional to test your home for mold. A professional has been trained to properly conduct mold tests for the highest level of accuracy and also knows where in the home to conduct tests. If you fail to conduct tests in the right locations, you might miss mold that can be causing serious health problems. Click here to find qualified professionals that can test for mold in your area. Cleaning up mold in the home is not as simple as you might think, for several reasons. First, many types of mold spread very rapidly, and if you see mold in one area of the home, there is a good chance there is mold in other areas where it’s not readily visible. For instance, mold often grows inside walls and in heating and ventilation ducts. If you discover mold in places like that, it’s hard to remove it. Second, the very process of cleaning up mold disturbs the mold spores and sends them floating about in the air, which can cause mold to spread and can also exacerbate any mold-related health problems you might have. Third, because many types of mold grow and spread very easily and rapidly, an incomplete cleanup can lead to another mold problem in the future, sometimes an even more serious mold problem. It’s definitely best to get the job done right the first time. To find experienced mold removal professionals in your area, follow this link. These professionals will visit your home for a free consultation and can offer valuable information and advice, even if you end up deciding to handle the job yourself. 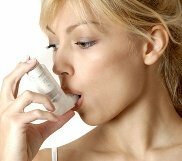 Mold can cause asthma like symptoms, or worsen asthma in those that already suffer from the condition.